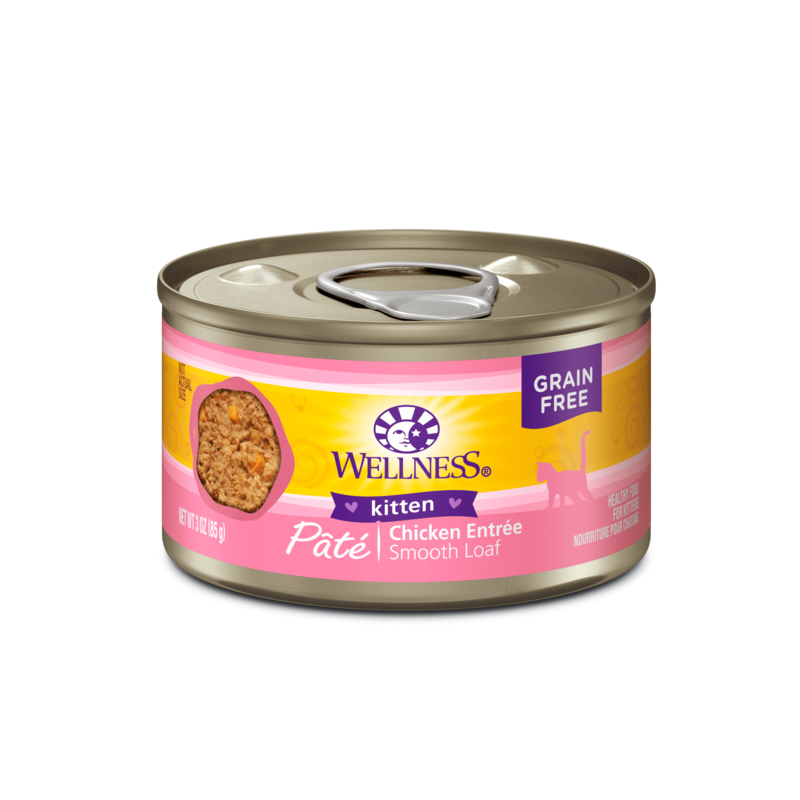 – Up to 20 weeks, feed as much as your kitten will eat in 3 or 4 feeding per day. – From 21 to 30 weeks of age, feed about 56g per 0.5kg of body weight per day. 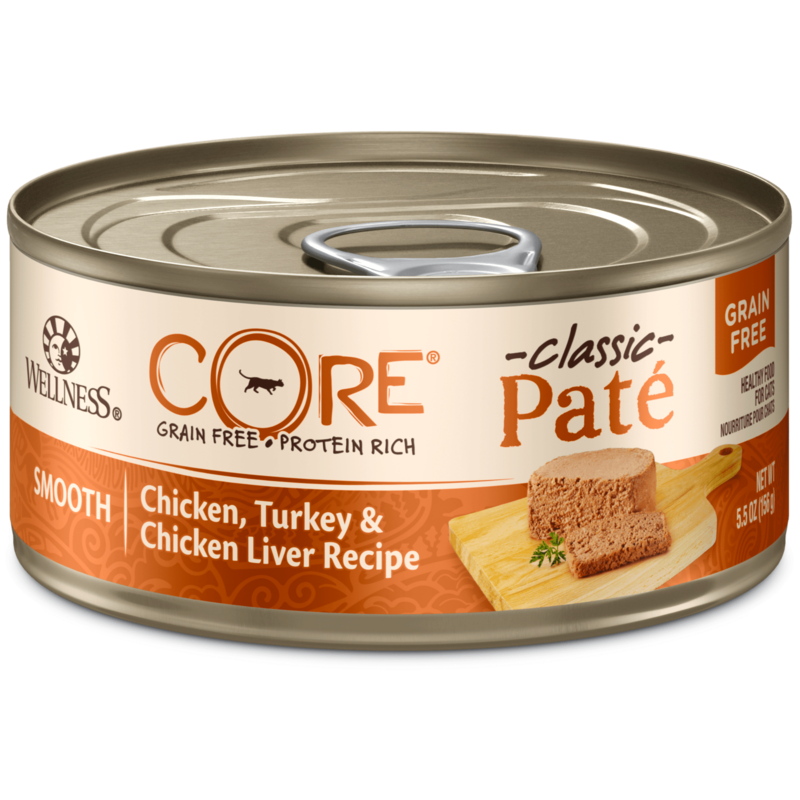 – From 31 to 52 weeks of age, feed about 42g per 0.5kg of body weight per day. 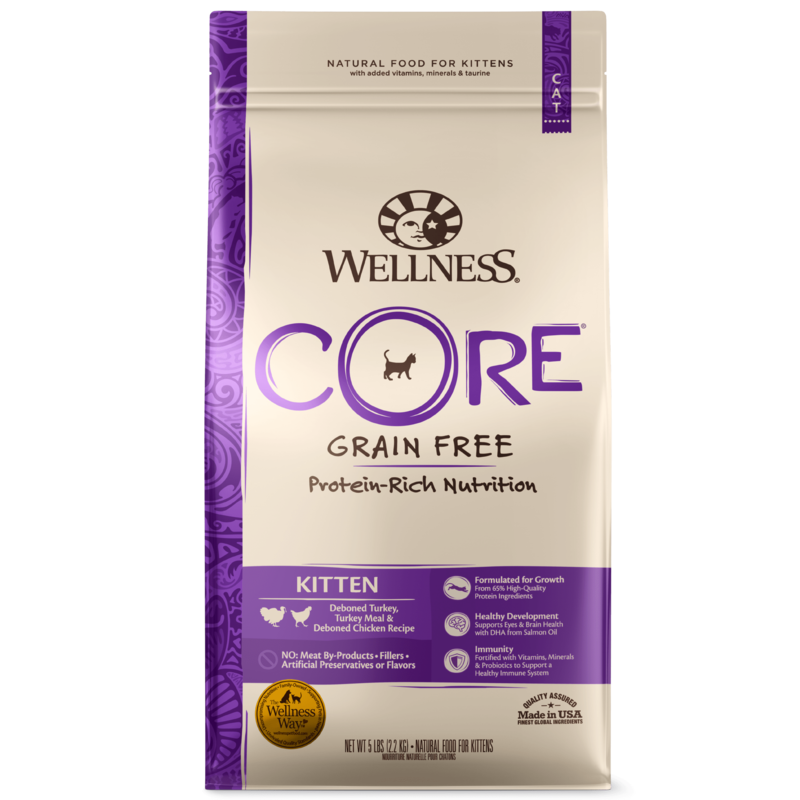 Wellness® Kitten Formula is formulated to meet the nutritional levels established by the AAFCO Cat Food Nutrition Profiles for complete and balanced nutrition for growth.